As Schneider Electric prepares to release its latest range of PDL-branded wiring accessories, it comes as no surprise to the older hands in the electrical industry that the company that pioneered plastic moulding in New Zealand is still developing innovative wiring accessories 80 years on. Over recent decades, and since the PDL Group became part of Schneider Electric in 2001, many new products and ranges have been introduced, and PDL-inspired products continue to be sold internationally. 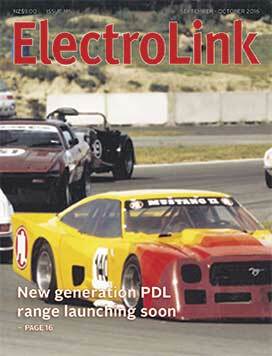 While the acquisition of PDL enhanced the standing of Schneider Electric in New Zealand, the value flowed both ways with the PDL product development team benefitting from the engagement with the engineering skills of the multinational electrical product manufacturer and its four design labs around the world. Innovation is still the watchword of the Christchurch-based team and it is developments such as a new range of wiring accessories for the regional market that affirm Schneider Electric’s commitment to the PDL brand as an associated brand of the international company. Schneider Electric’s New Zealand country manager, Ray Dunn, says the launch in November of the new range is of huge significance for the PDL brand, and the most significant switch and socket development brought to market for twenty years. But rather than accepting its own findings and winding back its audits, the EWRB wants to ramp them up to new levels instead. The EWRB did not comment on why it wants to increase its audit activities but the answer could lie in the fact that the Board has no mandate to carry out audits, and acknowledged that some electrical workers reacted negatively to the audit programme and declined to take part. Submitting to audit is a voluntary decision of an electrical worker, and that those that did were likely to have been confident they would come through without any form of censure, perhaps skewing the result of the audits completed. Submitting to an audit could become mandatory to renew a practising licence, if a proposal from the Electrical Workers Registration Board (EWRB) gains support from the industry. In this consultation, the Board is making an effort to show how its new programme is consistent with the law and outlines how it would like to change its current competence programme approach for practising licence renewal to include a more intensive one-on-one audit verification of compliance. The Board remains wedded to the view that the audits it has now piloted are a lawful action it can take to exercise its statutory function to “promote, monitor and review the ongoing competency and safe work practices of registered persons and licence holders”. This is despite the fact that there is no reference whatsoever to any specific power, duty or function in the Electricity Act that empowers the Board to carry out audits, or any activity regarding compliance other than, by implication, disciplinary hearings and checking that the competency of electrical workers in carrying out prescribed electrical work (PEW) is maintained. When ABB launched its ACS880 and ACS580 variable speed drives it did more than just introduce a new generation of features and a higher level of efficiency and performance for end-users to benefit from. ABB has now turned variable speed drive technology into process and productivity improvement tools with their additional capability and control, says ABB sales manager, Chris Eccles. A more intuitive menu on an improved control panel has made set-up and commissioning easier, and a significant advance in drive control has come in the wireless connectivity ABB now provides to operators so they can monitor and tune their drives remotely as needs change. 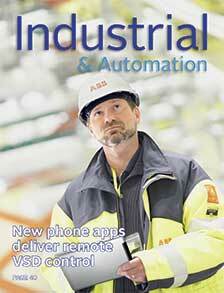 Eccles says ABB’s Bluetooth-enabled smartphone apps are now changing the way drives are set up and run – so much so that the control panels for new ACS880 industrial drives are now Bluetooth-capable as standard as a result of customer demand. The way we consume technology is moving at a pace unseen since the third industrial digital revolution in the 60’s. Exponential advances in technology and the way we use it are creating a knowledge gap for traditional engineers and consumers. As industry rapidly adopts this ever changing technology the gaps in knowledge through lack of training get ever wider, ultimately limiting the uptake or effectiveness of innovation. Today the fourth industrial revolution, (also known as Industry 4.0 or the Internet of Things), aims to increase manufacturing competitiveness by increasing integration of data, consumer information and people into factory processes, thereby driving greater productivity and producing real-time products that meet to-the-second consumer demands. The classic learning methodology via apprenticeships has been used to build expertise, however, as newly released technology frequently has no basis on past learning, the skills gap widens further. The classic on-the-job training results in trial and error in implementation and an inconsistent approach. Hugo Lighting’s expansion into commercial luminaires is now well underway with the arrival of new LED panel lights. Available in three sizes, the new panel lights add to the dimmable commercial downlights launched at the end of last year, and a growing range of LED battens, floods, high bays, wall washers, surface mounted ceiling lights, downlights and spotlights. Manager Dennis Grant says with new luminaires arriving regularly the company has released a new catalogue that establishes Hugo Lighting as a supplier of competitively-priced light fittings for the domestic, commercial and industrial markets. 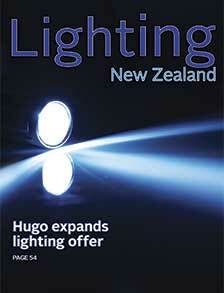 Hugo Lighting commenced business eight years ago with the introduction of a range of low voltage domestic downlights. With nine staff today, the company has been fully-focused on the electrical wholesale and contractor market, but now is advancing its claim as a reliable supplier of commodity lighting for residential, commercial and industrial applications and is engaging with architects and consultants. Targeting volume sales with a level of quality that exceeds market expectations for its competitively-priced luminaires, Hugo has also been prepared to push the boundaries of innovation, says Grant. LED has now become the dominant light source for all mainstream applications. For several years now, lighting industry events have all been about LED with traditional sources all but disappearing from view. LED is also gaining acceptance in mainstream lighting and making inroads into most domestic and commercial applications. However, there are still applications where traditional sources outperform LED in terms of cost-effectiveness. For example floodlighting, particularly high-output sports lighting. It is here where you need to keep your eye on the ball, which is often moving very fast. It is likely this will not continue to be the case though. As LEDs continue to evolve in terms of increasing lumens per watt, it is only a matter of time before they overtake the output of larger-scale metal halide floodlights.